Home / Blog / Are All AC Filters The Same? Are All A/C Filters The Same? Perhaps an HVAC technician has showed you the build-up of dust and debris on your air conditioning filter when replacing it. By catching particles and other matter, AC filters protect the vital components of an HVAC system, including the blower fan and evaporator. 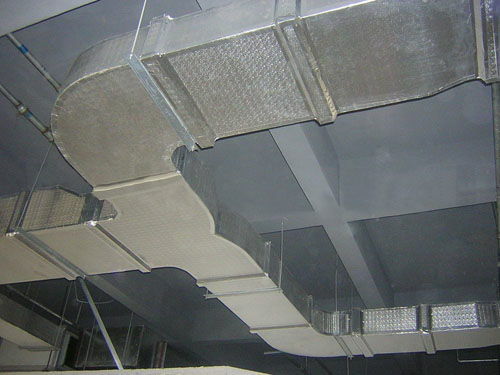 In this way, AC filters maintain a system’s efficiency. Yet, another important job of an air conditioning filter is to remove pollen, dander, dust, and other pollutants that might contribute to respiratory conditions and allergies. Thus, while AC filters help HVAC systems function better, they are also designed to improve the quality of air, and in turn, the living space. Even so, with a number of options on the market, many wonder, are all AC filters the same? While the purpose and design behind air conditioning filters is the same, different types acquire different ratings. Specifically, the MERV rating is important. This is the minimal efficiency reporting value, and it describes the ability of a filter to remove particles from the environment. Because each filter type is rated from one to 20, with a higher number signaling a better MERV, not all AC filters perform the same. Disposable – With a MERV rating of one to four, disposable AC filters are comprised of fiberglass or polyester mesh. Their main purpose is to protect the HVAC system. Reusable – With a MERV rating of one to four, reusable AC filters are also comprised of fiberglass or polyester mesh. Yet, they are washable, and can be reused. These filters are a money-saver, and their primary purpose is to protect an HVAC system. Pleated – With a MERV rating of 5 to 13, pleated AC filters not only protect many types of HVAC units, they offer dramatic improvements in air quality, when compared to disposable and reusable filters. HEPA – With the highest MERV rating of all AC filters (17-20), HEPA AC filters have the ability to remove up to 98% of dust, particles and other pollutants. However, an HVAC system must be able to accommodate HEPA filters. As licensed contractors and professional HVAC technicians based in Alpharetta, the team at ClimateSmith, LLC, guarantees top quality results and full satisfaction across all HVAC services. Are you wondering which AC filter is best for your home or business HVAC system? The experts at ClimateSmith are the ones to call!